2. Stir flour, sugar, baking soda and salt in large bowl. 3. Add water, oil, vinegar and vanilla to dry mixture; beat until batter is smooth. Blend in melted chocolate. 4. Fill muffin cups 2/3 full with batter. 5. Add your favorite chocolate chips on top before baking. 6. Bake 16 to 18 minutes or until wooden pick inserted in center of cupcakes comes out clean. Remove cupcakes from pan to wire rack. Cool completely. 7. 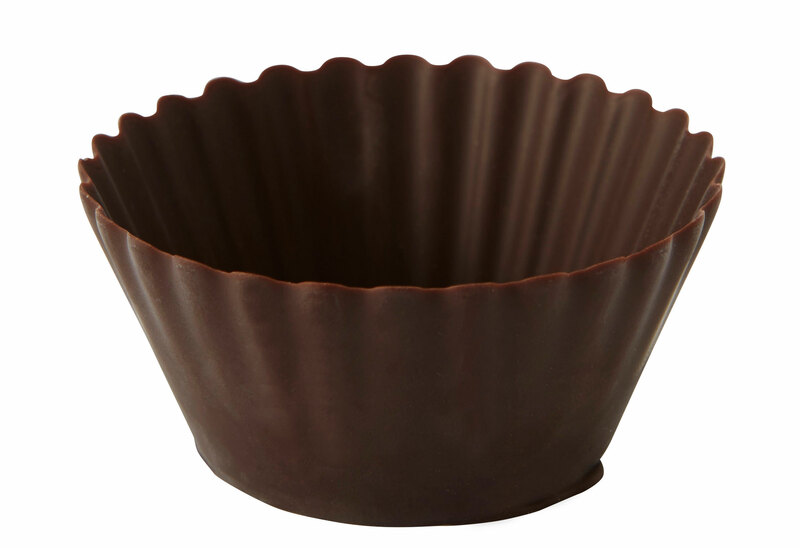 Place a double chocolate cupcake in the Dark Allure Cup. 8. Pipe almond buttercream around the cupcake. cupcake to hold the decoration. 10. 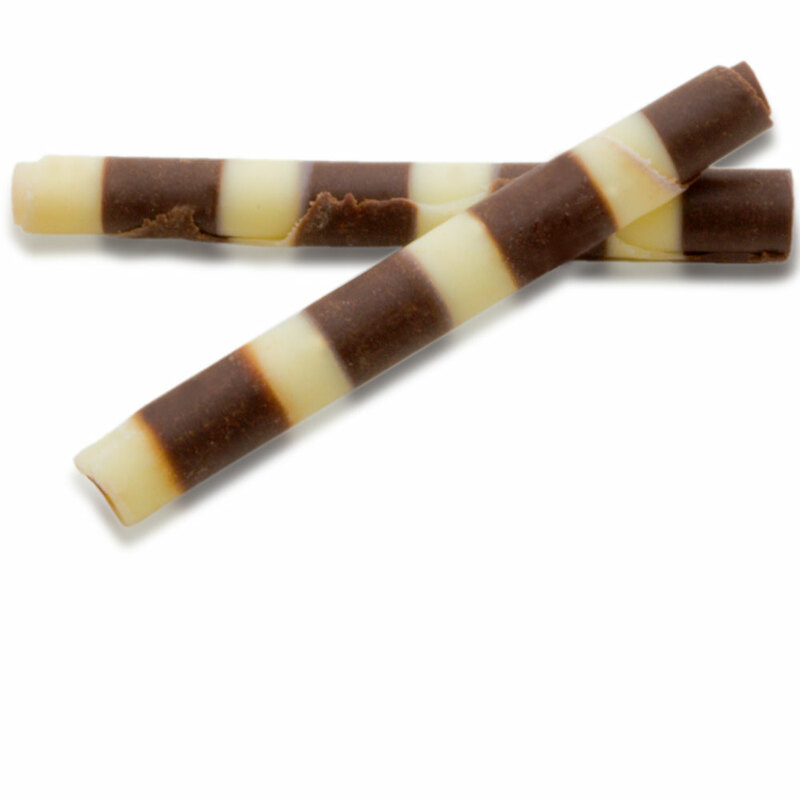 Place a Dark and Ivory Duo Mini Chocolatto on the top of the buttercream dallop.